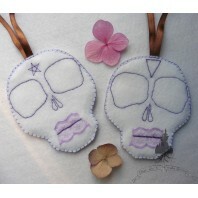 Set of 2 Flat Sugar skulls ornaments to suspend. 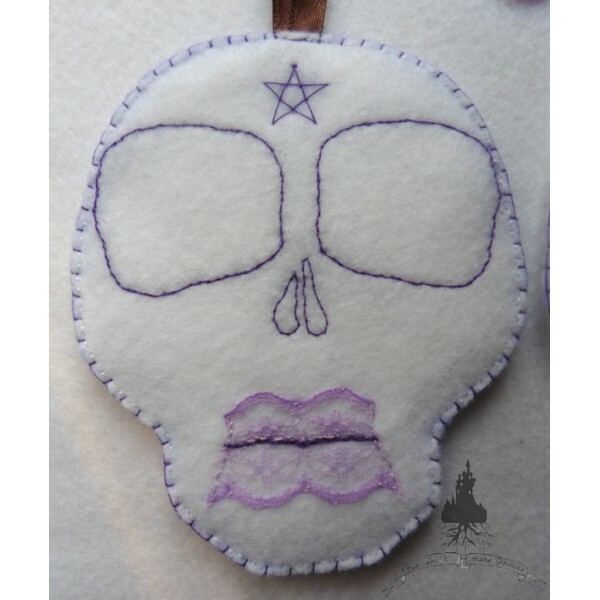 Talismans: pentacle and Inverted Triangle: Elements and great principles of the creation, Harmony and Feminine Principle. Gift for a white witch. 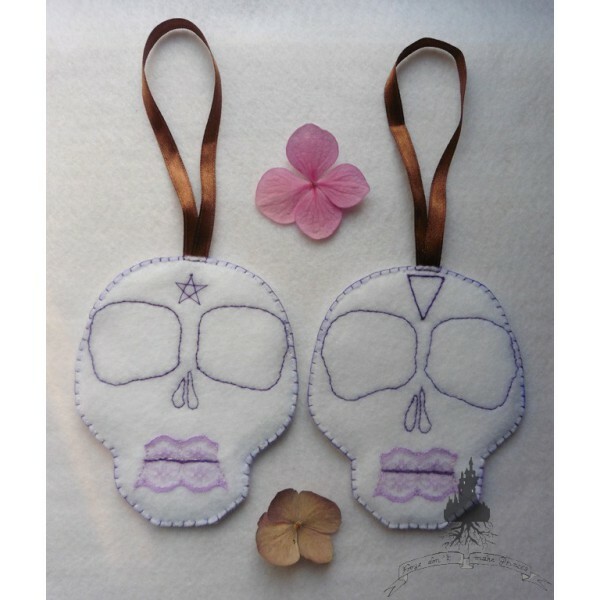 Set of two small hanging flat skulls, ornaments to suspend, perfume or use as a door plaque. 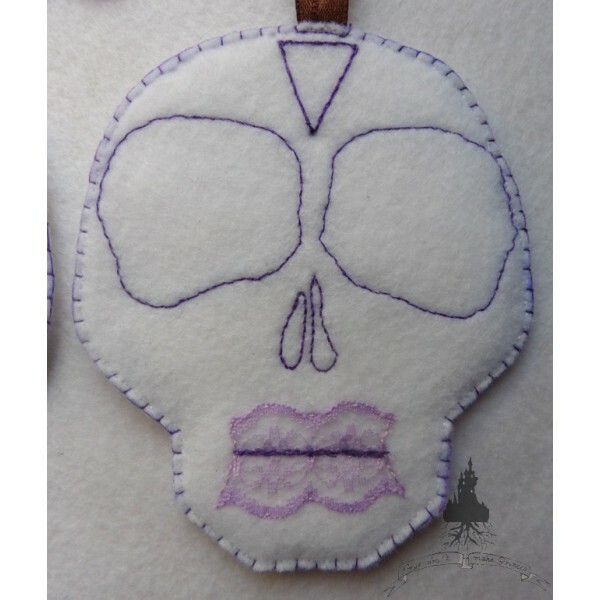 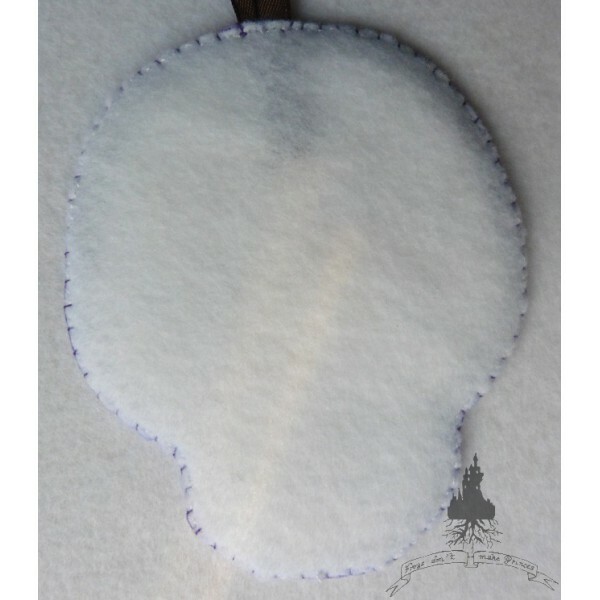 Made of white felt and roughtly embroidered with recycled mauve lace and purple thread. 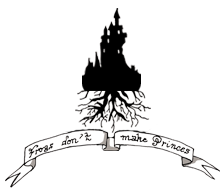 Symbols of the pentacle and inverted triangle on the top. 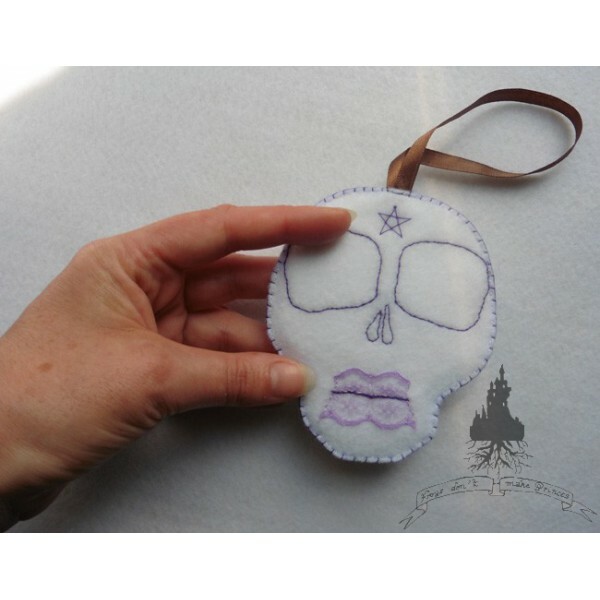 On the back, brown satin ribbon for hanging it on the wall, on a knob/handle or a door.